Foam insulation inside walls, particle board, plywood. Organic compounds, such as ammonia benzene, chlorine and acetone Cleaners, waxes, paint, pesticides, adhesives, insulation, plywood, furniture, chlorine, mothballs, dry-cleaned items and automobiles. Respiratory tract and eye irritation. Many of the substances cause cancer. Lead Paint and automobile exhaust Attacks the nervous system and the brain. 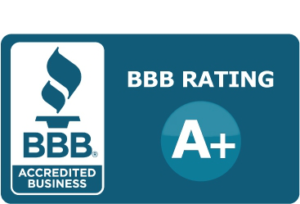 Whether buying, selling or staying in your home, indoor air quality is a source of concern. According to the EPA “Indoor air is found to be up to 70 times more polluted than outdoor air.” It’s no surprise then, that the rise of asthma, allergies, respiratory ailments, and even cancer are results of exposure to the air we breathe in our own homes (see chart). * Asbestos found in most homes more than 20 years old. Sources include deteriorating, damaged or disturbed pipe insulation, fire-retardant, acoustical material and floor tiles. * Lead from lead-based paint dust created when removing paint by sanding, scraping or burning. 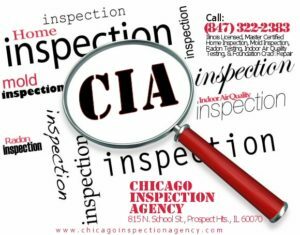 * Provided for general information only – At present, CIA does not test for these contaminants. 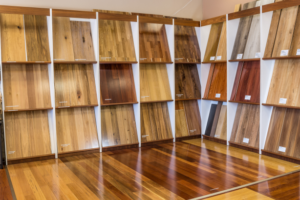 Paneling, flooring, pressed-wood furniture and cabinetry. These products may release formaldehyde gas. Moisture encourages biological pollutants, including allergens such as mold, mildew, dust mites and cockroaches. 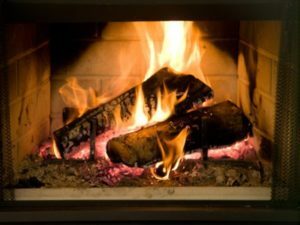 Remedy: Open the flue when using the fireplace. Have the flue and chimney inspected annually for exhaust backdrafting, flue obstructions or cracks, excess creosote or other damage. Install smoke and carbon monoxide detectors. This can be a source of biological allergens. These devices can release carbon monoxide and combustion pollutants. Remedy:Never use unvented kerosene or gas space heaters. In the room where the heater is located, provide fresh air by opening a door to the rest of the house, turning on an exhaust fan and slightly opening a window. 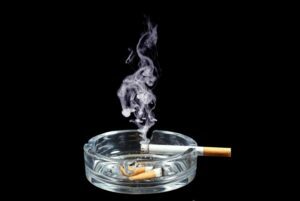 Smoke contains harmful combustion and particulate pollutants, including carbon monoxide and combustion byproducts. Many animals leave allergens, such as dander, hair, feathers or skin, in the air. Biological allergens can trigger asthma. Unhealthy or irritating vapors may be released from chemicals in products. 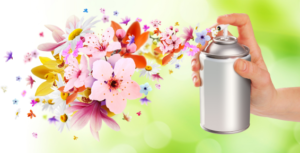 Remedy:Select nonaerosol and nontoxic products. Use, apply, store and dispose of them according to manufacturers’ directions. If products are concentrated, label the storage container with dilution instructions. Completely use up a product. These can be a source of formaldehyde vapor. These are a source of carbon monoxide and combustion byproducts. Organic gases are released from chemicals in some products, such as deodorant and hair sprays, shampoos, toners, nail polish and perfumes. These products can release organic gases. Remedy: Open a window or use the exhaust fan instead. If you use air fresheners, follow manufacturers’ directions. Select natural products. Cold mist vaporizers can encourage biological allergens, including mold, mildew and cockroaches, that can trigger asthma and encourage viruses and bacteria. Remedy:Use and clean them according to manufacturers’ directions. Refill daily with fresh water. These often contain the pesticide paradichlorobenzene. 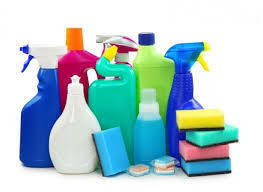 Chemicals used in the cleaning process release organic gases. Gas dryers produce carbon monoxide and combustion byproducts and can be a fire hazard. Air quality problems include backdrafting of carbon monoxide and combustion pollutants. These can release asbestos fibers into the air. Moisture encourages biological allergens like mold and mildew. This invisible, radioactive gas poses a lung cancer risk. Chemicals in products such as solvents, paint, glue and epoxy release organic gases. Remedy: Follow manufacturers’ directions for use, ventilation, application, clean-up, and container storage and disposal. Use outdoors when possible. Indoors, open a window, or use an exhaust fan. Reseal containers well. Clean tools outside or in a well-ventilated area. These are sources of carbon monoxide and combustion byproducts. These products may release harmful vapors. Rremedy: Provide ventilation when using them. Follow manufacturers’ directions. Buy only as much as you need. If the products contain methylene chloride, such as paint strippers, use them outdoors. Reseal containers well. Keep products in their original, labeled containers. Clean brushes and other materials outside. Yard and Garden chemicals may be toxic. Remedy: Use nonchemical methods when possible. Follow manufacturers’ directions for mixing, applying, storing and using protective clothing. Mix or dilute them outdoors. Provide ventilation when using them indoors. Store them outside of the home in their original, labeled containers. After using the product, remove your shoes and clean your hands and clothing to avoid bringing the chemicals into your home. 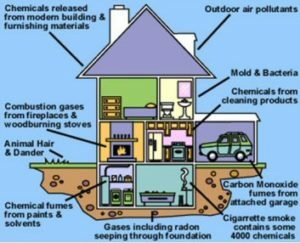 If too little outdoor air enters a home, pollutants can accumulate to levels that can pose health and comfort problems. Unless they are built with special mechanical means of ventilation, homes that are designed and constructed to minimize the amount of outdoor air that can “leak” into and out of the home may have higher pollutant levels than other homes. However, because some weather conditions can drastically reduce the amount of outdoor air that enters a home, pollutants can build up even in homes that are normally considered “leaky”. Immediate effects may show up after a single exposure or repeated exposures. These include irritation of the eyes, nose, and throat, headaches, dizziness, and fatigue. Such immediate effects are usually short-term and treatable. Sometimes the treatment is simply eliminating the person’s exposure to the source of the pollution, if it can be identified. Symptoms of some diseases, including asthma, hypersensitivity pneumonitis, and humidifier fever, may also show up soon after exposure to some indoor air pollutants. The likelihood of immediate reactions to indoor air pollutants depends on several factors. Age and pre-existing medical conditions are two important influences. In other cases, whether a person reacts to a pollutant depends on individual sensitivity, which varies tremendously from person to person. Some people can become sensitized to biological pollutants after repeated exposures, and it appears that some people can become sensitized to chemical pollutants as well. Certain immediate effects are similar to those from colds or other viral diseases, so it is often difficult to determine if the symptoms are a result of exposure to indoor air pollution. For this reason, it is important to pay attention to the time and place symptoms occur. If the symptoms fade or go away when a person is away from home, for example, an effort should be made to identify indoor air sources that may be possible causes. Some effects may be made worse by an inadequate supply of outdoor air or from the heating, cooling, or humidity conditions prevalent in the home. Thank you for reading. We hope this information has been helpful.